Welcome to TESLA CHARGERS, the home of the most efficient, effective and advanced battery chargers in the world. I know this does not sound “too modest”, but I think you will agree if you take the time to explore our product line and test this equipment for yourself. Just read some of the ASTOUNDING RESULTS that other people like you are getting by reading our Testimonials page! In our rapidly expanding digital world, portable devices are popping up everywhere. From cell phones, to MP3 players, to laptop computers, to power tools, to LED lighting, to electric cars, every one of these things runs on batteries. More than ever before, our carbon footprint and our over-all pollution footprint depends on how efficiently we can charge those batteries and how long we can keep them in service and out of the landfill. This rapid proliferation of devices has also had an unexpected side-effect. In most cases, each and every battery in all of these devices is different, and needs a different battery charger to charge it up. By now, most of us have between 5 and 10 different battery chargers all over the house. Many of these batteries are also expensive to replace, and only seem to last a year or two. This unfortunate situation has a variety of hidden costs built into it, and begs for a simple solution. Now, that SOLUTION has arrived. The Universal 1AU charger from TESLA CHARGERS will charge ALL of these different types of batteries AND keep them in service for many years to come. And that is just one example in our astonishing line-up of Products. From 1.5 Volt AAA batteries all the way up to the full-sized Electric Car, TESLA CHARGERS has a solution for your battery charging needs. 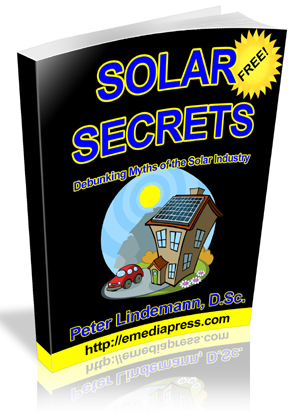 If you want to learn the electrochemistry involved in exactly how our Tesla Chargers charge and rejuvenate batteries, the Battery Secrets lecture is highly recommended. You will understand exactly why our chargers are above and beyond every other commercially available battery charging technology in the world. In 1888, Nikola Tesla ushered in the Electrical Age with the invention of the 60 cycle AC power grid. It was Tesla’s far-reaching genius that fore-shadowed today’s Digital Revolution. 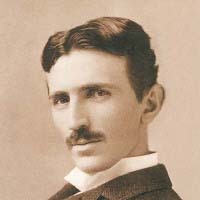 Our company name, TESLA CHARGERS, is a tribute to this brilliant problem solver of an earlier age. Nikola Tesla was the first to explore the benefits of Pulsed DC Currents, and their unique applications to lighting and power production. TESLA CHARGERS is proud to bring this technology into the 21st Century to provide the most advanced battery charging solutions available today. Our digital revolution depends on battery power, and our environment depends on good stewardship and responsible energy use. We at TESLA CHARGERS promise to bring these two purposes together to provide you, our customer, the most efficient battery charging solutions on Earth. If a better technology comes along, we’ll offer it here!